The concept of ‘cultural safety’ was initially developed by Maori nurses in New Zealand. Aboriginal and Torres Strait Islander scholars have adapted cultural safety concepts to fit Australian circumstances, emphasising the negative legacy of colonisation and dispossession, as well as the positive impact of learning about and fostering identification with Indigenous culture. Cultural safety is increasingly used in organisations providing services to Aboriginal and Torres Strait Islander peoples, particularly in the health sector. The Victorian Aboriginal Community Controlled Health Organisation (VACCHO) defines cultural safety as: 'being acceptable to difference, having the ability to analyse power imbalances, institutional discrimination, colonisation and relationships with settlers. Cultural safety is about providing quality health care that fits with the familiar cultural values and norms of the person accessing the service, that may differ from your own and/or the dominant culture'. SNAICC is the national non-governmental peak body representing the interests of Aboriginal and Torres Strait Islander children. It defines cultural safety within the context of Aboriginal and Torres Strait Islander children in out of home care as encompassing 'the child being provided with a safe, nurturing and positive environment where they are comfortable with being themselves, expressing their culture…their spiritual and belief systems, and they are supported by the carer and family'. SNAICC refers to cultural safety as being when a carer provides a child with a safe home, which respects their Aboriginality and therefore encourages their sense of self and identity. Aboriginal and Torres Strait Islander families and communities are more likely to access services that are culturally safe and experience better outcomes in such services. In January 2018, the Child Safe Organisations project held a forum on Child Safe Organisations and cultural safety for Aboriginal and Torres Strait Islander children and young people. The forum considered a background paper on cultural safety for Aboriginal and Torres Strait Islander children and young people. The forum also sought feedback on the draft National Principles for Child Safe Organisations and on how cultural safety for Aboriginal and Torres Strait Islander children and young people could be implemented across a broad range of organisations. Key themes emerging from the forum were outlined in the Child Safe Organisations February 2018 e-newsletter. The draft National Principles were revised following these consultations. 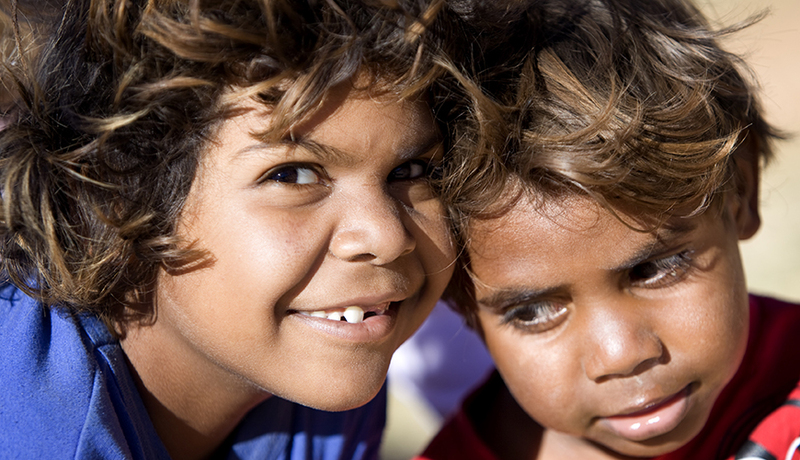 The National Principles for Child Safe Organisations emphasise the importance of organisations providing culturally safe environments and practices for Aboriginal and Torres Strait Islander children and young people. This includes improving the way organisations engage with Aboriginal and Torres Strait Islander children and their families, recognising the impact of intergenerational trauma, and respecting cultural diversity. Principle 3 requires that families and communities are informed and involved in promoting child safety and wellbeing. Indicators that an organisation is implementing this principle might include that the organisation is responsive to the needs of families and communities, including cultural safety; and that the organisation engages with and supports approaches that build cultural safety through partnerships and respectful relationships. Principle 4 requires that equity is upheld and diverse needs are respected in policy and practice. One of the key action areas is that children and young people have access to information, support and complaints processes in ways that are culturally safe, accessible and easy to understand. Another is that the organisation pays particular attention to the needs of Aboriginal and Torres Strait Islander children, among others. Principle 7 requires that staff and volunteers are equipped with knowledge, skills and awareness to keep children and young people safe. One key action area is that staff and volunteers receive training and information on how to build culturally safe environments for children and young people. There are practical tools and training resources available to help organisations implement the National Principles.